This Dutch Reformed Church stands on a strip of green at the southern end of Statensingel. Apart from the actual church, there is a sexton's house and a number of ancillary spaces round a courtyard. 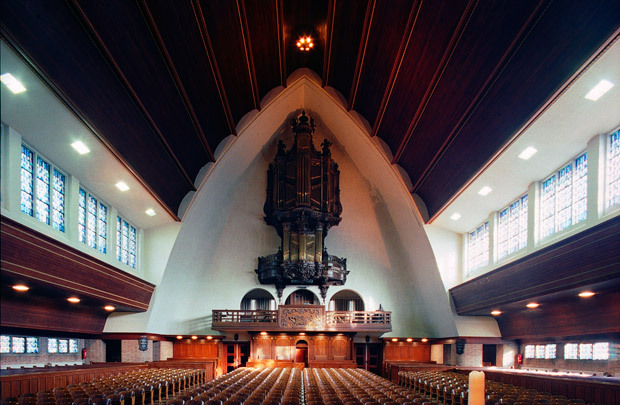 Its interior reuses elements of the then recently demolished Oosterkerk on Hoogstraat including the chancel, the organ and some art works. The Prinsekerk has a traditional exterior of mute brick walls and tall pitched roofs, with a still-taller distinctive saddleback roof crowning the bell tower.